Last September, we decided to take a trip to Hawaii and split our time between O’ahu and Maui. 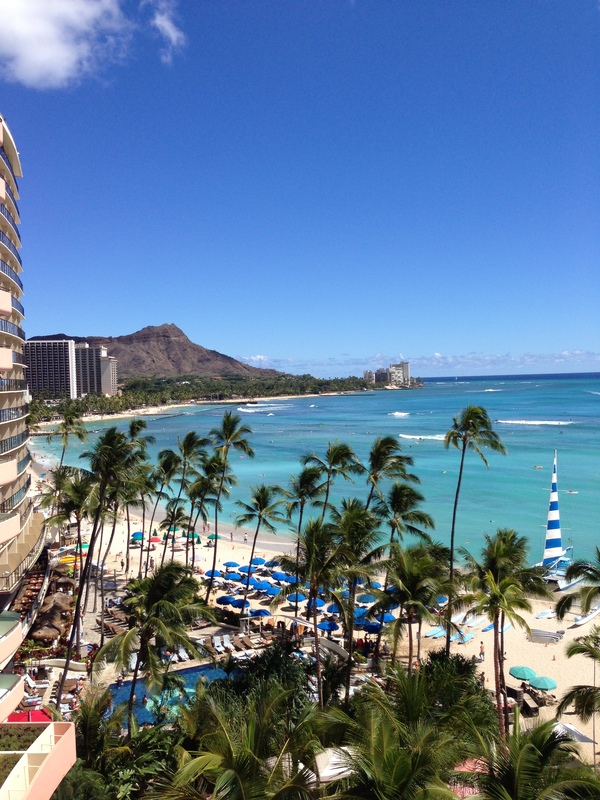 Thinking this might be our only time on the island of O’ahu, I figured, why not take the leap and stay at the Pink Palace – the Royal Hawaiian – on Waikiki Beach. Upon waking the first morning, I walked out onto the balcony just after sunrise and was greeted with a beautiful view of the Pacific Ocean with Diamond Head Crater in the distance. That first night we took the long walk from Waikiki Beach up to the crater. The walk was not as easy as I thought but the views were truly breathtaking. By the time we got back to the hotel, I knew that I had to get up early, run to the entrance for open, and “hike” – in that it is not a particularly hard hike – the trail to capture sunrise from the top. Alarm set for 5 AM. Get up in the dark. Running gear on. Take the 3 km run up the hill to the entrance of the monument. Pay the $1 to get into the park. Rush up the trail dodging tourists weighed down by their DSLRs. Was it worth it? You bet! The views all the way up the climb were amazing. It is so hard to narrow down pictures between the different vantage points as the trail twists around on itself. Not only can you see the sunrise over many landscapes, you walk through a tunnel, up a number of interesting sets of stairs, and across varied terrain of the trail itself. The one picture I felt I had to show was the shot that is the 180 degree shot of the featured photo. This shot was taken by turning around and snapping within seconds of the sunrise – it is the shot back down Waikiki to the city of Honolulu. 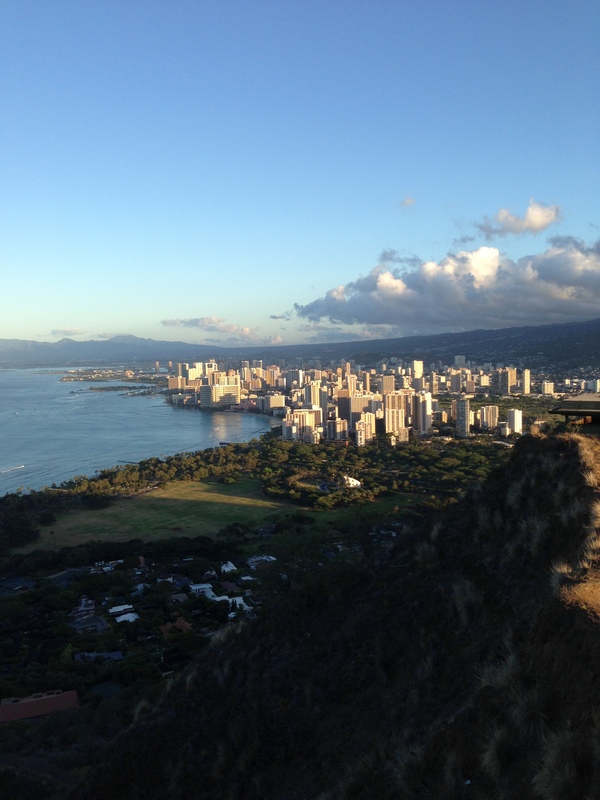 If every in Hawaii, give yourself the treat and get to Diamond Head for sunrise. If you really want to do it right, do it after a run!